Ty "Green" Burm had a family, a job he loved, and a woman he was ready to call his. With the Ravage MC at his back, he knew he could take on anyone. Leah Johnston is now lost, broken and torn. Once vibrant, she's drowning in fear and has lost all hope for anything in her life. And for anyone. The pain now stands between them and even Ravage can't fix this for Green. These two are bound by affliction and it's going to take time, patience and understanding for love to overcome the scars between them. 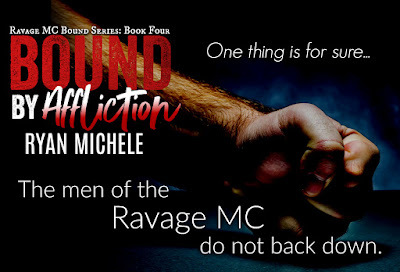 The Ravage MC series and Ravage MC Bound series is a suspenseful motorcycle club romance that will have you quickly turning the pages to find out what's next. 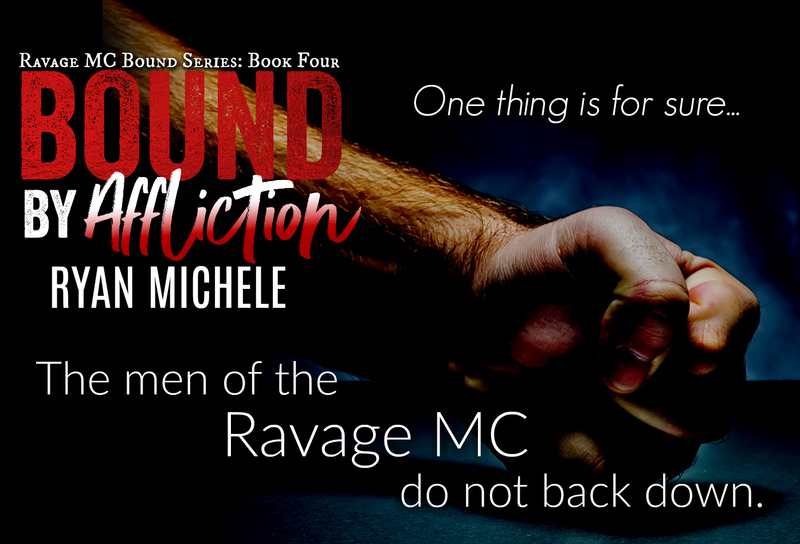 If you like an alpha, bad boy biker who doesn't know the term give up and an independent woman finding herself through tragedy, you've found the perfect MC book. Ryan is known for her twists and turns and the unexpected, so beware!